This quintessential mountain home is the epitome of Old Tahoe! Set in the beautiful Tahoe Pines neighborhood with 4 beds and 2 baths. Enjoy a glass of wine at the front porch, a fire while dining or make it a family affair in the spacious family room with wood-burning stove. 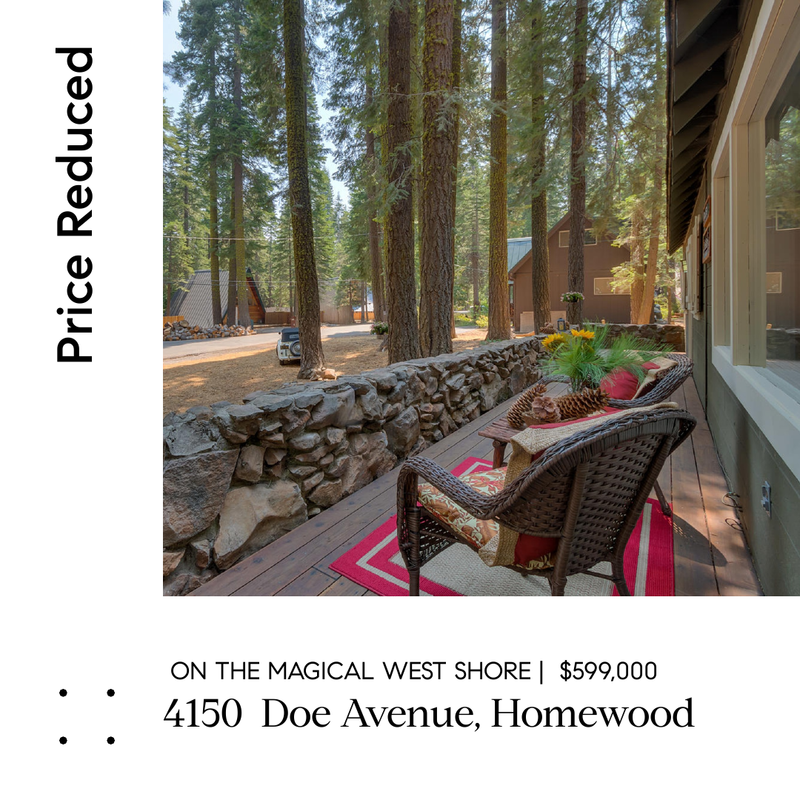 This fabulous West Shore location is on a large, level wooded lot within walking distance to the lake and Tahoe Pines’ Homeowner’s Pier. Minutes drive to Homewood Ski Resort – just in time for the holidays!